Don't know what I'm talking about? Click the button below and you'll know what the Wilhelm Scream is all about. Most of us movie lovers surely have, in one way or another, have heard the Wilhelm Scream. The Wilhelm Scream is a pre-recorded sound effect or stock sound effect made with the intention of using it as a default scream in case nothing else has been prepared for the movie. This sound effect is intended to be used in scenes for example, when someone is being shot, thrown when there is an explosion or falling off a cliff or a building. In short, it is usually accompanied with scenes of killing, death, destruction, bombing, or explosion. Not a good sight really. 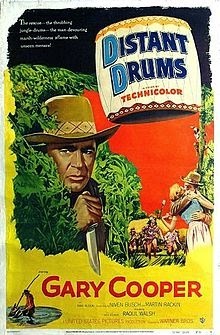 Its first known use is in Distant Drums, a 1951 movie starring Gary Cooper, produced by Milton Sperling, directed by Raoul Walsh and distributed by Warner Brothers Pictures. Sheb Wooley is the actor responsible for the sound effect. Ben Burtt, a motion picture sound designer came up with the name in honor of a character in the movie, The Charge at Feather River in 1953, to a certain Private Wilhelm who was shot with an arrow. Compiled herein are movies where the Wilhelm Scream can be heard. Today many major motion pictures, as well as video games and cartoon films use this particular sound effect. Many famous Hollywood directors with the likes of Steven Spielberg, George Lucas, Peter Jackson and Quentin Tarantino use the Wilhelm Scream in their production.